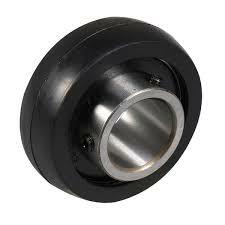 Bearing Consists of: 1- SB201-8 Bearing and 1 -R4 Rubber Grommet (USA made) with spherical od on grommet. For more information or to purchase any bearing within this series, please contact us. You can contact us by phone or email with questions on this item.